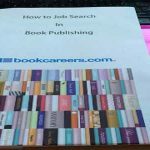 A full report of the bookcareers.com Salary Survey 2017 sponsored by Inspired Search & Selection Ltd is available. You can order this from your usual supplier or directly from bookcareers.com. ISBN 9781999610920 bookcareers.com Salary Survey 2017 and it is published by bookcareers publishing. The survey contains over 200 tables of data and analysis covering aspects of salaries, bonuses, diversity, education, student loans, pensions, employment, training, morale, recruitment and monitors trends from previous surveys. It is unique in that this survey analyses responses from individuals working in all areas of book publishing from digital to print and academic to trade. This report includes new data which will help identify risks and threats to employment within the industry; information which no one with responsibility for employing staff would want to be without. As well as the data, there are over 20 pages of comments from respondents as to how they feel about their current employment situation and, if relevant, why they intend stay with their employer or why the intend to leave. 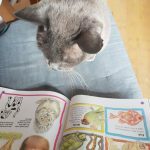 This is frank and honest opinion that will help you plan staff retention programmes; information you will not find anywhere else. 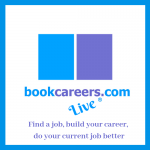 Since its first publication in under the bookcareers.com banner in 2000, the bookcareers.com Salary Survey has become an essential tool for anyone involved in management, human resources, recruitment or staff planning.